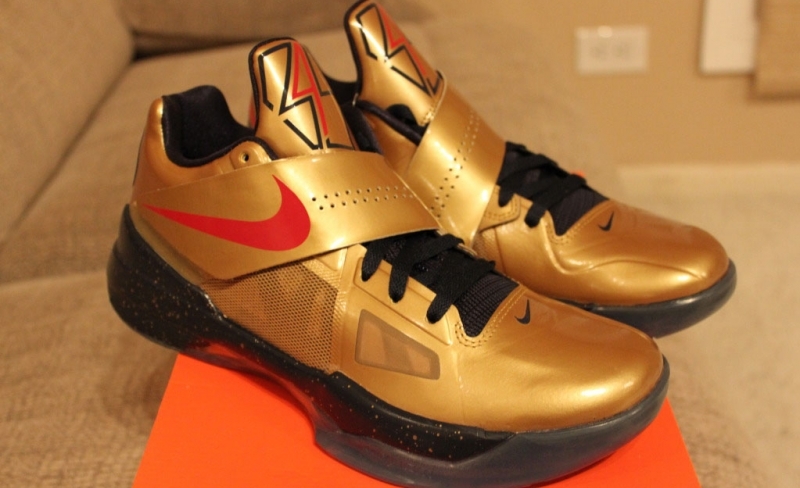 This color way of the Nike KD 4 is directly inspired by the Olympic gold medal. The majority of the upper is covered in a Metallic Gold while Black contrasts on the liner, laces, and speckled midsole. Slight accents of Pink and Red can be seen on the sneaker while a translucent outsole finishes up this Olympic inspired color way.